Twenty years ago there was only a handful of Israeli wines, and very few of interest to the international consumer. Today, there are 300 different wineries, and many of them are making wines that are not only in the international style, but that can also compete on the international stage. World-class wines are being made in one of the world’s oldest wine regions. Unfortunately for both the Israeli wine makers and the international wine market, getting great Israeli wines is almost as difficult today as it was decades ago when they did not even exist. A trip to the local wine store, even a very fine one, will often reveal no Israeli wines at all. Around the Jewish holidays, a customer might find one or two mass marketed kosher wines, usually near the bottom shelf in price and quality, often a mevushal (flash pasteurized or boiled) offering that is barely a step up from the Manischewitz from Bubbe’s* table. Fortunately, there are individual wineries, and a few companies, that are filling the wine store gap with good wine. Where they can, they are sending good wine direct to consumer. Today, whether one is looking for kosher wine for the Seder+ table or for wine direct from the Holy Land for Easter Dinner, the glasses can be filled with something that will bring the joy and authenticity that can only be offered by fine wine from Israel. One of the oldest wineries in Israel is Bat Shlomo. The tiny village of thirteen homes, a synagogue, a mikvah (a Jewish ritual bath, a storehouse, and a kosher village, was built by Baron Edmond de Rothschild in 1890, one of a group of villages created to support an agricultural industry in Palestine. Today, Bat Shlomo is making its own fine wines from traditional French grapes, under the direction of high tech entrepreneur Elie Wurtman and American-trained winemaker Ari Erle. All of Bat Shlomo’s wines are kosher. Even more exciting for the American consumer, they are also available by direct order. The reader can also send an email to Jodi at Bat Shlomo with questions or for additional information. Wines available from Bat Shlomo include their Sauvignon Blanc, Chardonnay, and Betty’s Cuvee. Bat Shlomo’s Sauvignon Blanc was vinified in stainless steel and a concrete egg. Ari Erle, the winemaker, brought the egg from the US to Israel, for the rich, round, mouth-feel it brings to the grape, while the stainless steel maintains the bright spine of acidity. In Bat Shlomo’s wine, the combination works. The nose offers up tropical fruit and rich sweetness, passion fruit and honey. The wine is perfectly dry on the palate, offering up green apple, lemon, and white grapefruit, and finishing with fresh cut grass and lime pith. Drink with stuffed flounder. Recommended. 89 points. 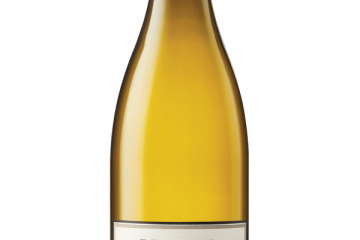 This wine, one of the nicest Chardonnays tasted in Israel, spent 8 months in French oak, 60% new, with the lees stirred weekly. The wood added richness without overwhelming the fruit. The nose offered the rich aroma of baked apples, backed by just a touch of vanilla. On the palate, very ripe apple, with a small mix of baked apple, lead, with a background of buttery puff pastry. Toward the finish, with is rather long, the flavors gently flowed to mildly sweet key lime. The mouth feel is lovely and round, the acid backbone firm but not overtly powerful, providing structure and balance while letting the wine sing. Drink with grilled swordfish. Highly Recommended. 90 points. Tasted just out of barrel, this wine was obviously still young and still getting settled in its new glass home, but it showed clear promise of quality and pleasure to come. The nose showed black current and spices. The palate had black currant, black cherry, and a touch of tobacco. Hints of mild black licorice and soy gave a rich umami background. Tannins were full and round, acids naturally matched. Drink with ribeye, or with Bubbe’s brisket. Recommended. 89 points. Margalit was Israel’s first boutique winery, and is recognized today as one of its finest. Started by Yair Margalit with his wife Iris, they new run it with son and winemaker Asaf. Margalit’s wines are grown at high elevations in the Upper Galilee (Golan Heights), and are made from traditional French grapes. Today, they are working on adding new mediterranean wines to the line-up, and those should be available in 2015. Most of Margalit’s wine is sold to fine restaurants, in Israel, Europe, and the United States, or on the winery’s three open weekends before Passover. Today, though, their wines are available direct to the US consumer. Margalit’s wines are not designated kosher, as the winemakers, father and son, insist on being able to lay hands on every step of the process. Some of Margalit’s wines can be purchased from Oded Shoham, Margalit’s Director of Marketing, as well as the operator of Israel Wine Experience. Reach out to Oded directly, by his email. More Margalit wines can be purchased by the bottle, retail prices only, from Israeli Wine Direct. This single vineyard wine is made of Cabernet Sauvignon and Petite Sirah. Grown at 1500 meters on volcanic soil, the wine shows deep, dark flavors and aromas. Black currants and baking chocolate waft up from the glass. The same flavors lead on the palate, joined by black cherry. Fine, dusty tannins coat the mouth in this well-balanced wine. Drink with New York Strip. Highly Recommended. 91 points. The cabernet franc grapes come from the coastal Sharon growing region, in sandy soil at lower elevation. The wine shows classic Cabernet Franc maters, with raspberry and tobacco on the nose. The palate has raspberry, cranberry, and tobacco. Dusty baker’s chocolate comes through on the finish. Red fruits and bright acids make this a food friendly wine. Pair it with roast chicken, legs and thighs. Recommended. 89 points. One of the finest wines tasted while in the country, Margalit’s 2004 Cabernet Franc shows that Israel’s best winemakers are just as capable as their counterparts around the world at making fine wines that will cellar with grace and complexity. As one would expect with a slightly older wine, the fruit is starting to share center stage with herbal characters. Fine cuban tobacco leaf and raspberry both come through on the nose. Black cherry, raspberry, and rich tobacco leaf make up the palate. Tannins are smooth and sweet, the finish long. Drink with brisket. Highly Recommended. 93 points. In Margalit’s “Enigma,” Cabernet Sauvignon and Merlot are fermented together, and Cabernet Franc is later added to the final blend. The nose shows the Cabernets together, with black fruit and tobacco. Merlot joins the party on the palate, adding black cherry to blackberries and tobacco, then to a cranberry pop on the mid-palate. a backbone of minerality and acid work together to balance the tannins. Drink with gourmet burgers and duck-fat fries. Recommended. 88 points. Another wine from Margalit’s library shows that its wines will stand the test of time. The nose smells like chocolate covered cherries. The same chocolate cherries explode on the palate, shifting to clean red fruit, cherry and cranberry, on the mid-palate. The chocolate comes back dusty to match the tannins, on the finish. Acids are well in balance. This still seems quite young and would easily last another decade in the cellar. Drink with ribeye. Highly Recommended. 91 points. Petit Verdot was, repeatedly, one of the most successful wines in Israel, leading reviewers to wonder whether it might someday be the wine people think of when they think of Israeli wine. Margalit’s Petit Verdot was the finest Petit Verdot of all. The nose was a chocolate powerhouse, redolent with fine Dutch chocolate, with cherries lingering in the background. On the palate, black cherry and loads of chocolate were tempered by fine herbs, mint and eucalyptus. Depth, complexity, rich sweet tannins, and a genuine sense of place all made this wine stand out. Mouth feel was silky, wonderfully soft. Drink with a very fine and well-marbled steak. Very Highly Recommended. 95 points. 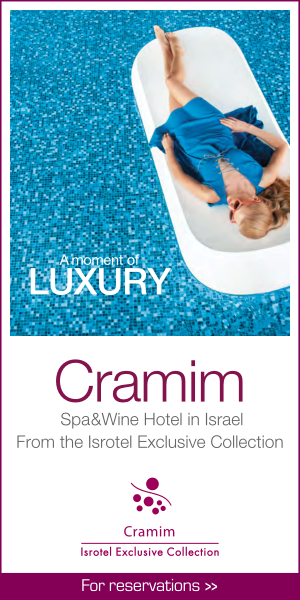 Another Israeli winery offering discount prices and direct sales to US consumers is Flam Winery. Flam Winery, established in 1998 and juxtaposed between Jerusalem and Tel Aviv, was started by brothers Gilad and Golan Flam. Their wines are well made, clean, and have that extra something that makes wine special, rather than just good. Flam’s Blanc, a blend of sauvignon blanc and chardonnay, stood out in a blind tasting with its tropical fruit flavors and fresh crispness. Flam’s Reserve Merlot and Reserve Cabernet Sauvignon are among its best offerings, with depth, concentration, and layers of flavors. Contact Liatte Miller for pricing and information. A blend of Sauvignon Blanc and Chardonnay, Flam’s “Blanc” stood out in a blind tasting of Israeli wines. It is made with great care, harvested at night and kept under a blanker of CO2 from dry ice, to avoid oxygenation. Fresh grass and tropical fruits come through on the nose. The palate has tropical fruits, plantains and pineapple, apples, and cut grass. White grapefruit comes through on the mid-palate and lingers on the finish. Acids are very bright and refreshing. Drink with baked chicken. Recommended. 89 points. This Cabernet Franc dominated Rosé keeps its varietal characteristics, in a refreshing warm weather wine. The nose has aromas of black cherries and tobacco. On the palate, sweet cherry and strawberry are balanced by light tobacco flavors. A tang of sweet lime comes through on the finish. Sweet cherries and tobacco linger. Drink with blackened shrimp. Recommended. 89 points. The color is a deep ruby. The nose shows black cherry, anise, and a touch of tobacco from Cabernet Franc. The mouth feel is very rich, round. Deep cherries lead, with a raspberry lift on the mid-palate. Allspice, cinnamon, and laurel all join on the mid-palate as well. Fine tannins and good acidity add to terrific complexity and depth. Drink with filet mignon. Highly Recommended. 90 points. The nose of the marvelously compile wine starts with black currant and adds a cayenne pepper pop. On the palate, black currant and elderberry lead, with graphite and cayenne pepper in the background. Black fruit and graphite linger on the finish. Sweet tannins add a fatness kept in check by bright acids. Drink with New York Strip in peppercorn sauce. Highly Recommended. 90 points. Clos de Gat is another Israeli winery that will ship wine direct to US customers. Only one Clos de Gat was tasted while in Israel, the recommended 2011 Chardonnay. Wines can be purchased on Clos de Gat’s website. This 100% estate grown Chardonnay spent 12 months in French oak, 14% of it new. The nose shows apples and butter. on the palate, baked apples, peaches and pastry crust come through. It has a round mouth feel. A bit of residual sugar, perhaps 5-6 grams, adds richness without cloying sweetness. This is a crowd-pleasing wine. Drink with monk fish. Recommended. 88 points. Other Israeli wines, including wines from Pelter and Shvo, are available direct-to-consumer from Israeli Wine Direct. Two Pelter wines, the Unoaked Chardonnay and the Cabernet Franc, were reviewed last week in Palate Press. Look later this week for a review of Shvo’s 2012 Red. As noted, above, Oded Shoham is the operator of Israel Wine Experience. He can source several different Israeli wines direct to consumer. Reach out to Oded directly, by his email, to inquire about what is available. Oded can be your “inside source” to the Israeli wine world. 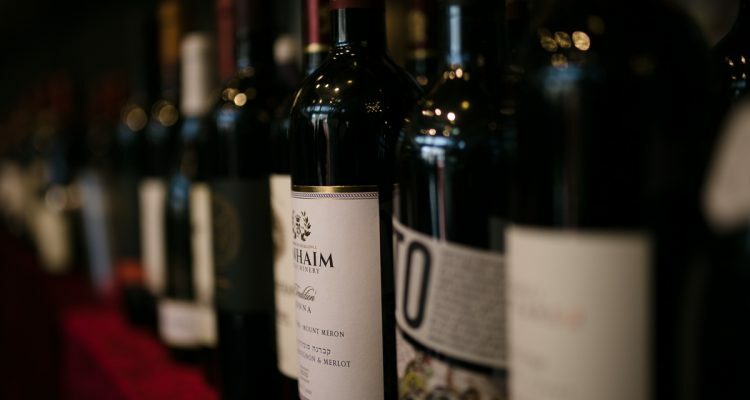 The American consumer no longer needs to be limited in their choices of Kosher or Israeli wines by what distributors make available to the local wine stores. Many fine Israeli wines are available direct-to-consumer, often at a discount, from the wineries themselves. They make a marvelous addition, not just to the Seder table or the Easter Dinner, but to the table, and in some cases cellar, year around. Editor’s note – this story has been corrected to reflect that Margalit Winery is no longer selling direct to the US market, but that Margalit and other wines may be purchased directly through Israel Wine Experience.